This department deals with diagnosing , monitoring and treating facial growth related issues and malalignment of teeth. Improper growth patterns in children and presence of deleterious habits like thumb sucking and mouth breathing can lead to patients having malaligned teeth placed in a haphazard manner in the jaws. These malaligned teeth and jaws are cosmetically poor and lower the patients self confidence as time progresses. These malaligned teeth are ineffective in chewing and fall prey to gum disease faster. This department caters to the above mentioned misalignment majorly by providing fixed braces ( orthodontic brackets ) to these patients. Some minor deformities are also treated by removable appliances with springs in them to correct rotations and overlapping of tooth. 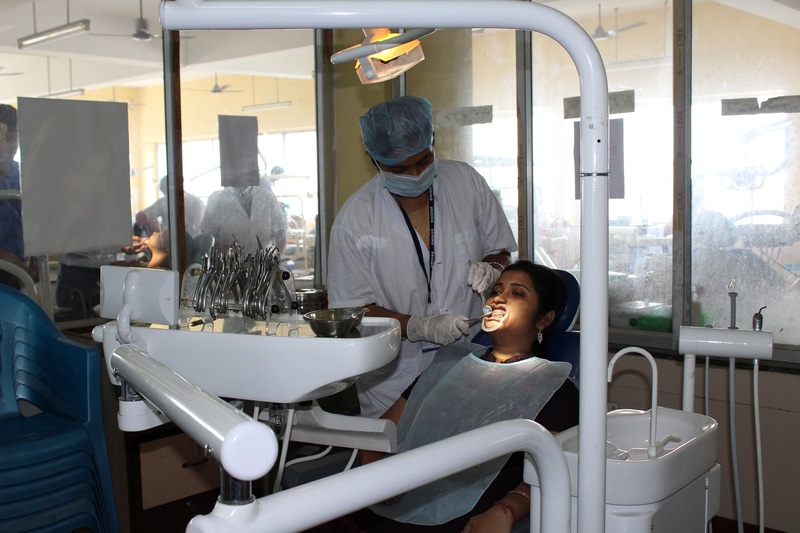 This department works in close association with pediatric dentisty department , as the primary age group of its patients are 11 to 13 yrs of age. 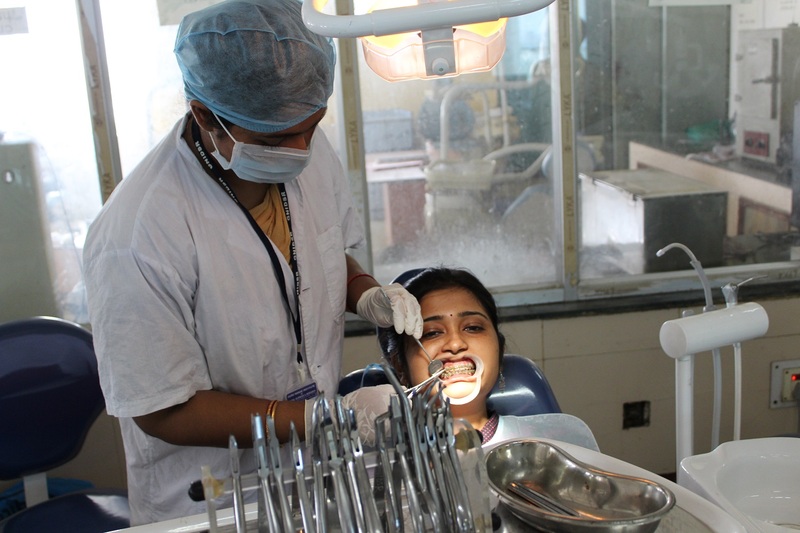 This department also works in close association with oral surgery department when some adult patients reporting with misaligned teeth need orthognathic jaw surgery for correction. Fixed Orthodontic Therapy , Removable Orthodontic Therapy , Functional Appliance Therapy , Growth Assesment , Habit Breaking Appliance Therapy , Smile Designing , Orthognathic Surgery including Pre Surgical Orthodontic Treatment . 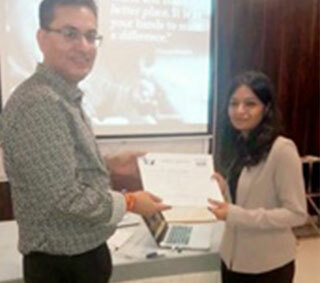 Dr. Goldy Lakar won first prize by presenting a paper on the topic of “Smile Designing from Orthodontist Palette” in IDA North 24 parganas branch on 26th November, 2017. 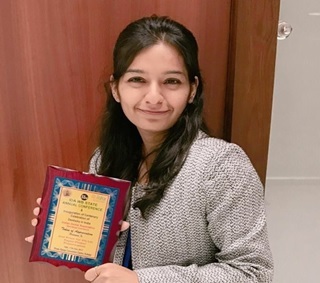 Dr. Goldy Lakar won second prize by presenting a paper on the topic of “Interdisciplinary Orthodontics Together we go Hand in Hand” in IDA West Bengal branch on 19th December, 2017. 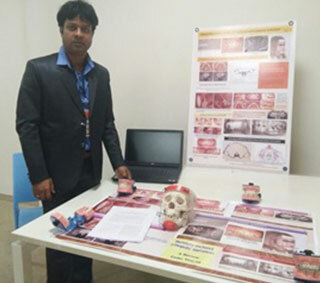 Dr. Goldy Lakar presented a paper on the topic of “Relationship among Different Facial Skeletal Pattern arch width and Bolton’s Tooth Size Ration” in IOS Convention 2018, in Navi Mumbai on 16th February, 2018. Dr. Goldy Lakar presented a paper on the topic of “Expansion in Cleft Lip and Palate in OSGON on 6th October, 2017. 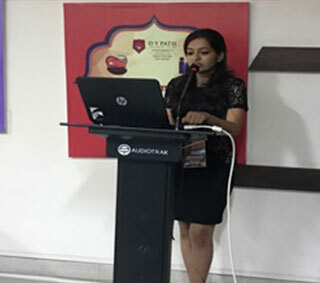 Dr. Rajani Nair presented a paper on the topic of Smile “Role of Orthodontist in Treatment of Cleft Lip and Palate” in IDA North 24 parganas branch on 26th November, 2017. Dr. Rajani Nair presented a paper on the topic of Smile “Dimension of Infrazygomatic Crest in different Skeletal Pattern for Miniscrew Insertion” in IOS Convention, Navi Mumbai on 16th February, 2018. Dr. Swapan Roy presented Table Clinic on the topic of “Skeletally Anchored Orthopedic Appliance” in IOS Convention, Navi Mumbai on 16th February, 2018. Dr. Sabnum Alam presented a paper on the topic of “Arch Dimension changes using Self-ligating Damon Brackets” in IOS Convention, Navi Mumbai on 16th February, 2018.